Videocon is a very trusted company in India. Videocon is mostly manufacturing home applications items. Videocon started manufacturing mobile phones just recently. Videocon is manufacturing lots of variety in mobile phone. The company announced V1292 mobile for India and it will be launched on March 31st 2011. The Videocon V1292 contains lots of features & specifications. Videocon V1292 look is very good. Videocon V1292 is coming in two beautiful colors like pink & black. The Videocon V1292 has very good feature at lowest price. The mobile is basic model mobile phone. The phone does not have any camera. Videocon V1292 TFT display screen provides good picture quality. The mobile has GSM+GSM dual SIM supported standby device option. The mobile has external memory slot so it’s very good to store important data. The Videocon V1292 has accepted micro SD/T – flash card. The mobile phone has large EZI soft touch keypad for easy use. The handset has good network connectivity facility. The Videocon V1292 has provided dual SIM facility. The Videocon V1292 has made by good specifications. The Videocon V1292 mobile phone is bar factor phone. The Videocon V1292 operates at frequencies 900/1800 MHz of GSM. The mobile take cares of good multimedia management. The mobile is enabled with FM radio. The Videocon V1292mobile phone has FM radio recording process in good output voice. Videocon V1292 has external memory so it is very nice for listening MP3 music with the MP3 player. The mobile phone comes with 20mm of speakers for very good clear voice. The Videocon V1292 has long life battery as it is provided with Li-ion 1000 mAh. Videocon V1292 has Bluetooth connectivity option. 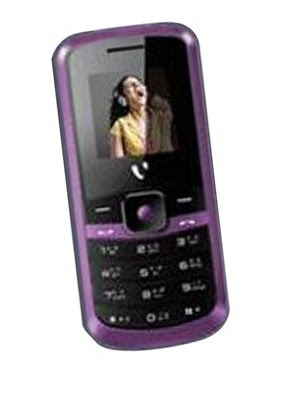 Videocon V1292 has also GPRS, EGPRS or EDGE connectivity option. The mobile phone has sound management with specific caller tones by vibration polyphonic. 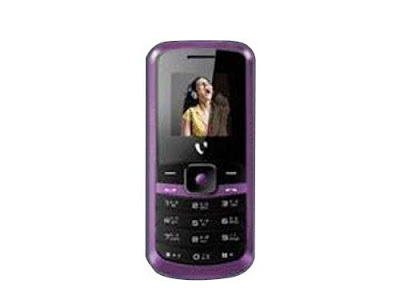 Videocon V1292 has MMS messaging feature for good communications. The handset is provided with good gaming option for good time killer. Videocon V1292 mobile phone also provide LED torch light for night vision. The Videocon V1292 mobile phone has loudspeaker for hand free options. It’s will be comes with lots of competition in low price mobile with more feature & specification option. The Videocon V1292 mobile phone price in India is not yet declared. The company declares to provide good quality of mobile phones and this time it is going to prove itself by launching the Videocon V1292 mobile phone.